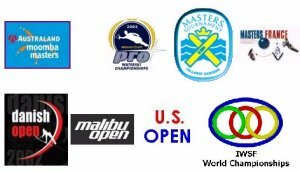 Hi and welcome to this International Water Ski Federation Video Press Release. 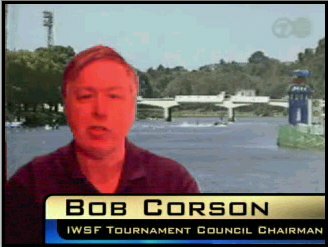 I am Bob Corson Chairman of the IWSF Tournament Council. 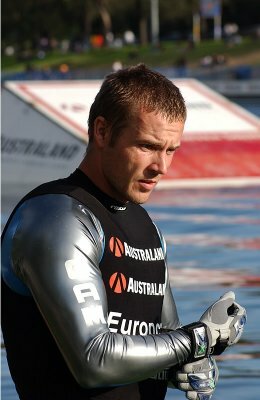 The 2003 Moomba Masters has been completed here on the Yarra River shown behind me in Melbourne, Australia. Skiers have begun the race for Elite Ranking Points. Winners represented five countries from around the globe. 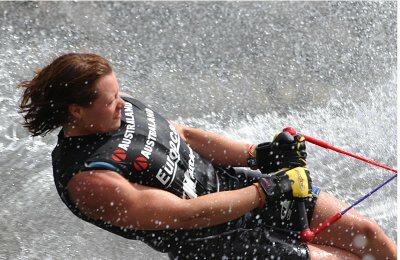 Photo: Tom Grey - On The Line Photographic www.otlwatersports.com World Champion Regina Jaquess of the USA made the long trip to Melbourne but was rewarded with the gold in tricks and an early lead in the rankings race. 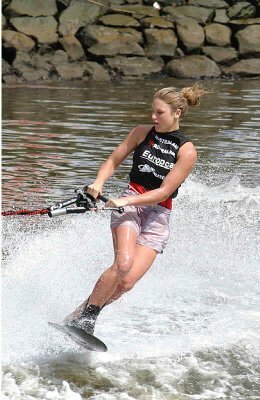 Australia's Emma Sheers was a rare double winner capturing both the Jump and Slalom event before hometown fans. This fast start will force the other women skiers to play catch up. Photo: Tom Grey - On The Line Photographic www.otlwatersports.com Great Britain's Jodi Fisher surprised favorite Chris Parrish of the USA by winning the slalom final to put himself at the top of the points list. 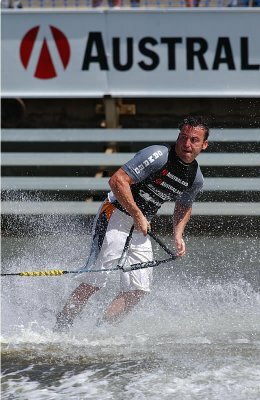 World Champion Nicolas Leforestier overcame an early round fall to charge back to a win in the Tricks event. 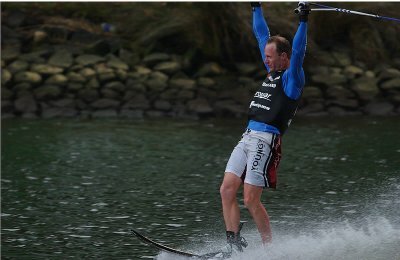 Photo: Tom Grey - On The Line Photographic www.otlwatersports.com Jesper Cassoe of Denmark posted his biggest international win yet to show, for now, he is the man to beat. The action was fast and furious as skiers set their positions for the 2003 Elite Ranking Points Race. 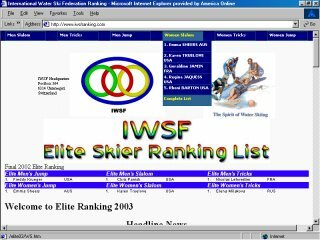 You can follow the race on www.iwsfranking.com which will always have the latest top five points totals on the front page with the full list one click away with further access to pictures and biographical information about all of your favorite skiers. Follow the skiers this year as they travel around the world to Elite Ranking Tournaments to capture the all important Elite Ranking Points. That's all for now, until next time, thanks for watching.